SUPER FAME, 2009 Sorrel stallion by legendary Sire: Dash Ta Fame — Sire of barrel racing champions winning titles in all arenas with well over a million dollars in earnings. Dam: Sugar Rullah — AQHA World Champion, 2x AQHA Reserve World Champion, 2x AQHA Select World Champion, NPBA Champion, Congress Champion and 6 AQHA Hi-Pt Titles round out her resume. 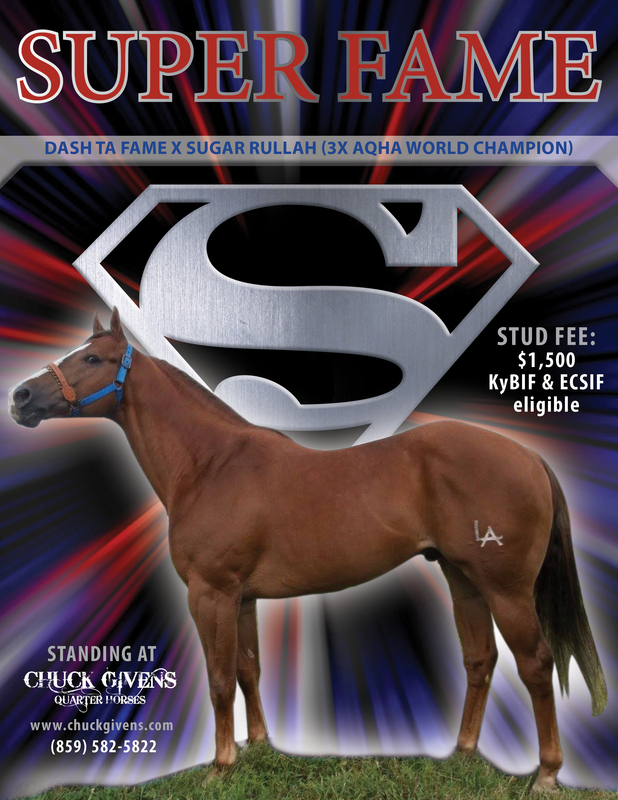 SUPER FAME is a dynamic young stallion with an impressive pedigree and massive conformation…16H and weighing in at 1200 lbs, with strong bone structure, straight legs, solid feet, pretty head, nice shoulder, big hip and regal attitude that has been descended from his bloodlines.